Rabbit legs are the most exercised part of a rabbit and, as a result, the meat can be tough if cooked incorrectly. 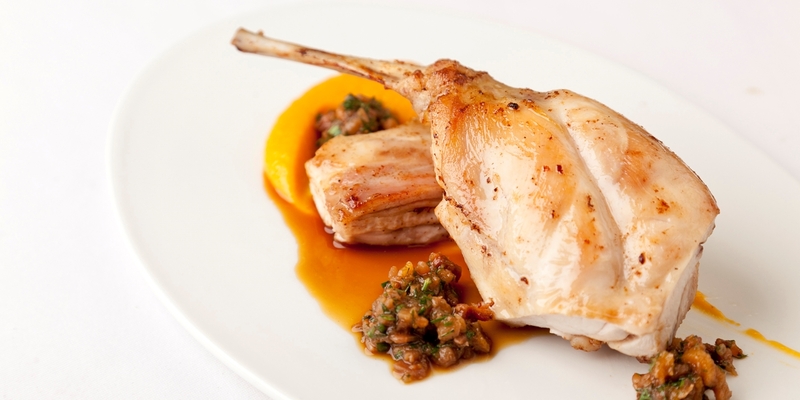 To ensure a moist, tender result on these lean cuts of meat, rabbit legs are often braised slowly in liquid. You can then serve the legs as they are, or flake the meat off of the bone for use in a variety of dishes. Matthew Tomkinson picks off the meat after braising to stuff cannelloni tubes in his recipe. You can use this meat to make a rabbit ragu to serve with pasta or add it to pies as Galton Blackiston does in his raised game pie.